In 2016 and the coming years, expect change. From the earliest stages of design to job-site preparation and the construction process, no facet of a project will be left untouched. Emerging technologies and construction practices will transform the construction industry and lead to projects that are faster, safer and less expensive. 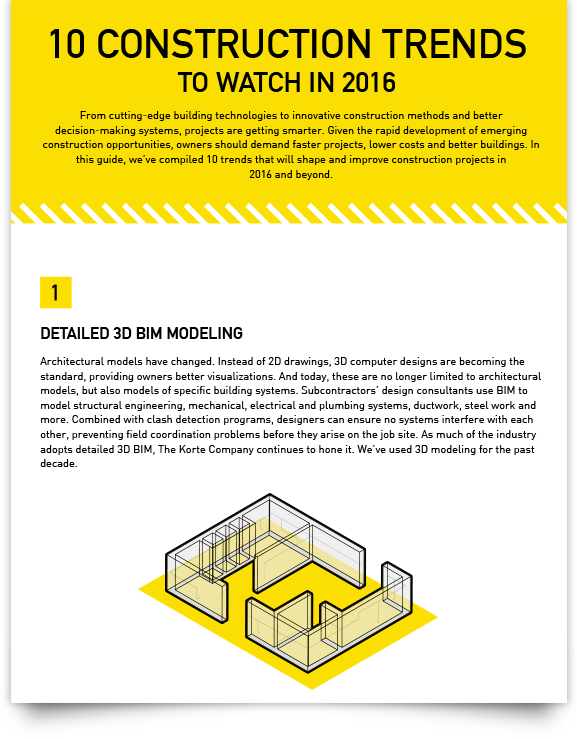 Click the image below to see our informative infographic on the 10 trends that will shape the construction industry.